Whitby is definitely a wonder. It has lots of wonderful landscapes, historic areas, and beautiful sceneries. That is why it is a favorite destination for many tourists. That is why, establishments like restaurants and cafes are very common in this area. And one of the most important appliances needed to run a restaurant smoothly is the oven. Unexpected oven problems would be a really bad problem but you can avoid that. 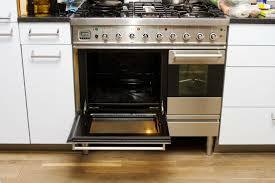 All you need to do is to hire the credible Oven Repair Whitby and call us at Appliances Repair Whitby. If you call us, you will surely call nobody else ever again. Once you experience our service, you would definitely not look at other servicing crews. Appliances Repair Whitby has what you need to get your oven going smoothly. Although it is inevitable that appliances will get broken someday, repair and maintenance services are important to avoid unexpected problems. When you get your maintenance and oven repair done by us, we can give you important tips on how to take care of your oven. Plus, we’ll let you in on all the important details you need to know about what we’re doing with your machine. Our dedication is backed by our equipment and people. We have advanced equipment to cope with the newest technology used by different brands. Our facilities are superior compared to others in the area too. Aside from those, we have experienced and dedicated technicians who are always ready to offer quality service.